Dragon Ball FighterZ is important not only to the series as a whole, but to fighting games in general thanks to its accessibility and endless fun with characters we’ve all grown up with and known to love (and of course hate). 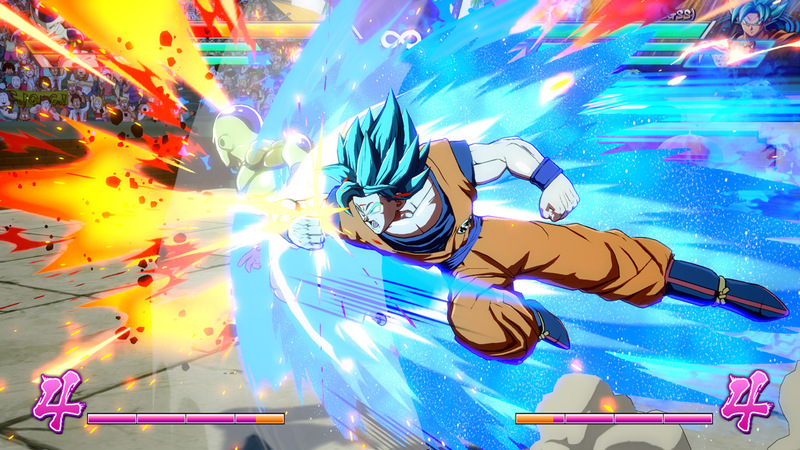 While the roster won’t blow anyone away with 24 characters and 8 DLC fighters – a lot amount compared to some other Dragon Ball titles – it does well to keep things streamlined and to-the-point, providing a mostly diverse roster of characters that feel and play like you’d expect them to, with tons of interactions in-between (Goku is particularly angry whenever pitted against Frieza, for example). Multiple modes such as Story, World Match, Practice, Arcade, Local, Replay, Shops and more leave for tons to do both online and offline with tons of collectibles in the forms of lobby avatars, emotes, color changes, and much more. Story Mode brings an original story focusing on the new character, Android 21, designed by series creator Akira Toriyama himself. While short, it’s a sweet experience that reconnects you with some of Dragon Ball’s greatest villains while giving new ones in the interim. As a life-long Dragon Ball fan, although it can get goofy, the story does well to play out like the show does and delivers stellar voice acting provided by the cast of the anime as well for both the English and Japanese dubs. Unfortunately, one of my biggest pet-peeves still lingers in the Switch release, which is being unable to seamlessly move between online and offline modes, having to quit to the main menu in order to choose how you’d like to start Dragon Ball FighterZ, and basically being forced to play as such until you quit to the main menu again. When playing online, it can get annoying very quickly if you lose connection mid-match or even by being idle, regardless if the Switch goes to sleep mode or not, and being taken back all the way to that ever so familiar Dragon Ball FighterZ logo accompanied by a ‘Press Start’ prompt in the main menu you’ll more than likely grow accustomed to seeing. The Switch version of Dragon Ball FighterZ is a really great port since, from what I’ve been able to deduce with my time with it, it’s practically identical to its PC, Xbox One, and PS4 counterparts. The game runs smooth, looks good with very little hiccups, and contains all of the same features. Included in the Switch version not seen on other platforms is the ability to play with single Joy-Con thanks to its simple control method. Simple controls allow for a more basic input of commands to initiate your specials, character switches, dragon rushes and more. It actually feels surprisingly good to play with single Joy-Con and the inputs work really well and make a lot of sense. In some ways I prefer it to its basic controls, but ultimately I still play with basic since it feels much more comfortable and what I’ve grown to learn. Either way, it makes an already accessible fighter even more palatable for those looking for a great pick up and play game that, despite its simplicity, still makes you look like a master. It feels great to play and it’s still awesome to watch. Despite its gorgeous visuals, Dragon Ball FighterZ does make one compromise with its story mode – thankfully just visually. When I first booted up the game, I went straight to Practice Mode as a refresher to get used to how things worked again and how’d they translate to whatever the Joy-Con’s d-pad is supposed to be, and everything looked and performed well. I didn’t notice any immediate visual downgrades, and resolution in both TV and handheld mode wasn’t much of an issue. But after jumping into Story Mode, the lack of anti-aliasing and the insanely low resolution of the cutscenes took me back to the days of buying and watching all my sagas… on VHS. I’m not sure why cutscenes of all things had to be downgraded when they’re not that elaborate to begin with, but ultimately it’s the gameplay that matters and thankfully all of that runs and looks fine, especially in contrast to how Dragon Ball Xenoverse 2 performed on Switch. Between all the character interactions and voice lines uttered to team mates and enemies alike, Dragon Ball FighterZ feels alive, robust, and immersive, constantly treating fans of the series to what feels like an endless episode of Dragon Ball Z and Super. The lobby, when online, is filled to up to 64 other players that you can actively see walking around in these cute chibi renditions of characters with tons of emotes, lines, and skins to express your character and profile to the rest of the world. It’s a way to make a captivating menu system without feeling limited to splash screens and selection screens. With all the great content Arc System Works and Bandai Namco has given us and continues to, though, there’s still one thing missing that would make Dragon Ball FighterZ truly astonishing: where’s Hercule? Dragon Ball FighterZ brings one of 2018’s finest fighters to Switch at long last. The world-renowned manga and anime has always been known for its memorable fights and flashy attacks, and Arc System Works makes sure that the power is in the hands of the player to make their dream 3v3 matches come to life with the same finesse of their other fighting franchises while retaining an authentic Dragon Ball experience that can sometimes make you think you were watching the show. 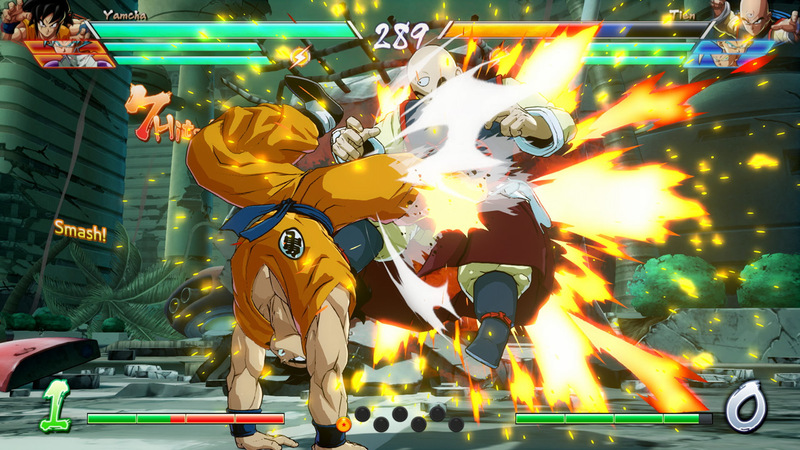 The Switch version of Dragon Ball FighterZ runs well, looks great, and has all the same features it did when it released on other platforms back in January. For those who were consumed by it when it released earlier in the year, it’s hard to justify having to invest money back into a game you already own and spent countless hours (and DLC) on, but for those that missed out on it when it initially released or have been patiently waiting for the Switch version, I do think it’s well worth looking into if you want a proper fighter from one of Japan’s biggest properties. 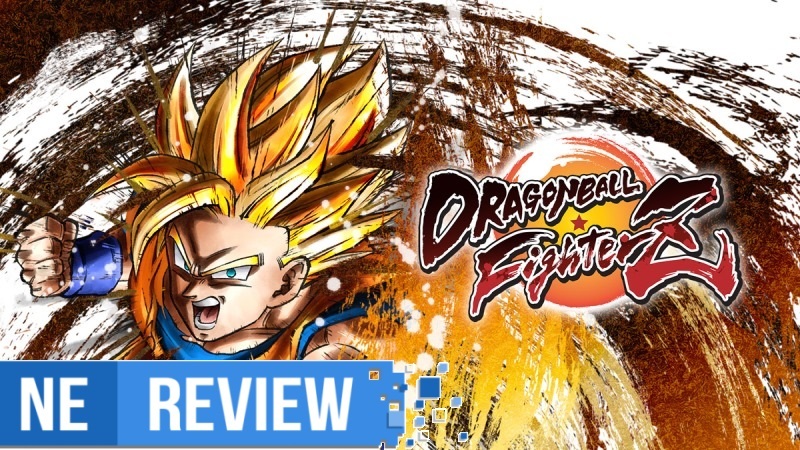 Dragon Ball FighterZ review copy provided by Bandai Namco for the purposes of this review.